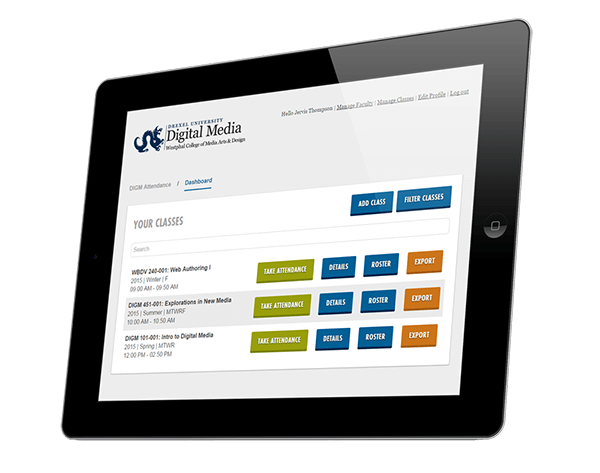 Drexel’s Digital Media program is growing rapidly. The 2015-2016 incoming class totalled around 120 students, which was more than twice the previous year. These increasingly populated classes mean that the professors need a more streamlined method of taking attendance than pen and paper. 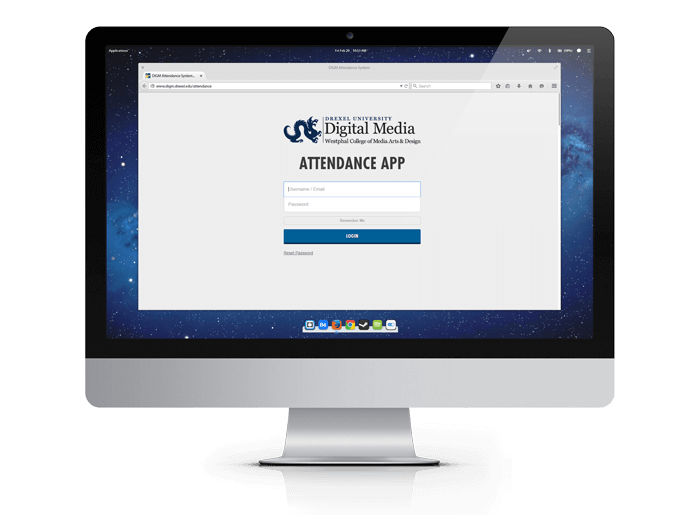 I worked with 5 other students to solve this problem by developing an efficient digital attendance system. 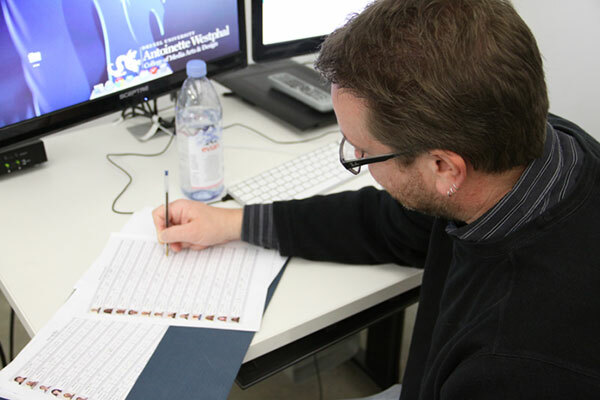 As lead designer, I was the driving force behind the app’s overall design and experience. 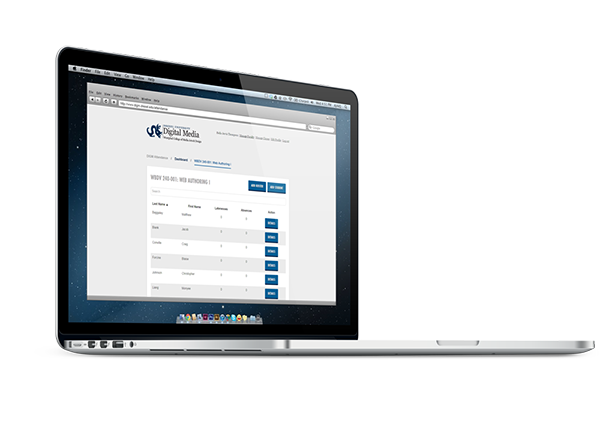 I led the project’s research phase with extensive user interviews, competitive research, and team brainstorming sessions. 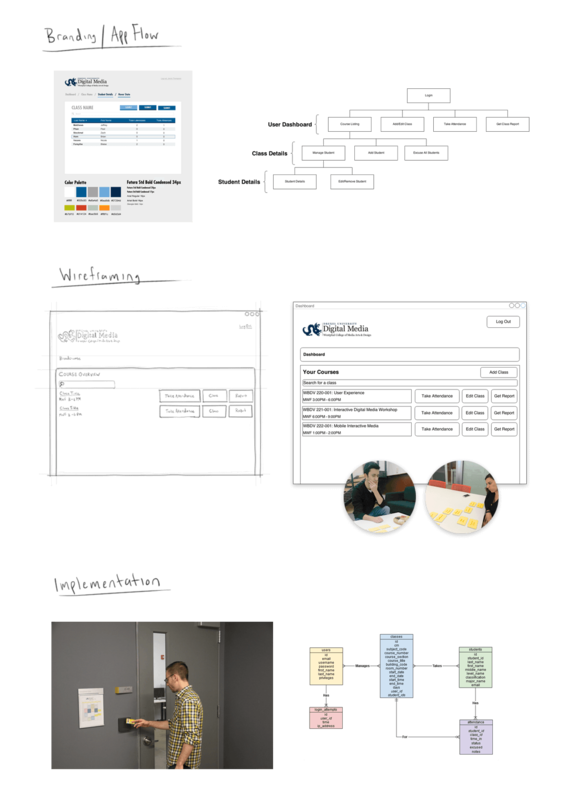 Streamlining the flow of the application was challenging due to complex project requirements, so I leaned on rapid prototyping and weekly usability testing sessions to make sure we were on the right track. 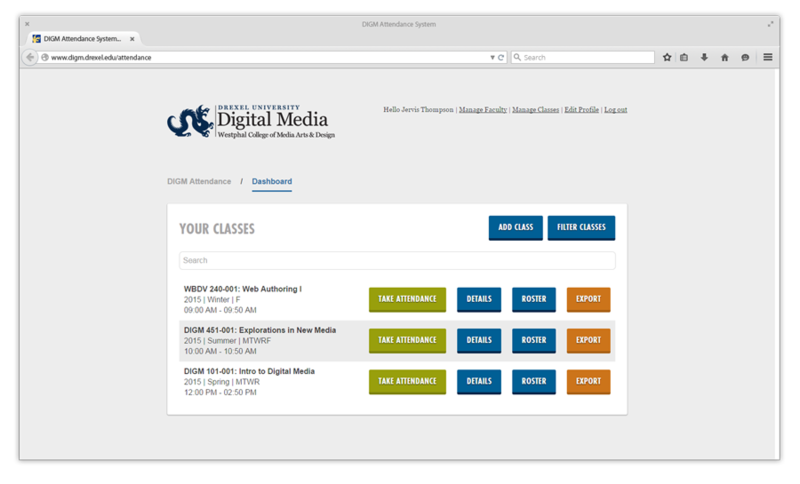 A big challenge for the team was creating a unique visual style for the app that successfully stayed within the strict limitations of Drexel’s branding guidelines. By utilizing Drexel’s “alternate” colors and some creative design elements, we were able to create a unique style guide and visual patterns that still felt like part of the Drexel family. 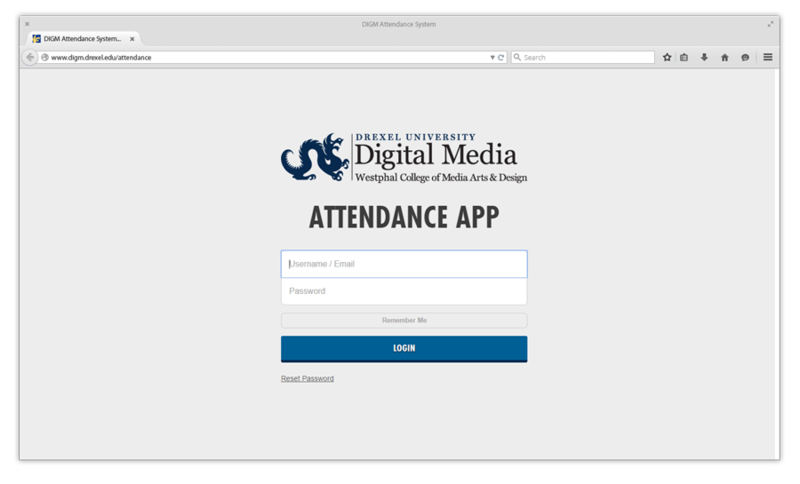 The DIGM Attendance App has been fully adopted by Drexel’s Digital Media program and was used for over 50 classes for the 2015/2016 school year. 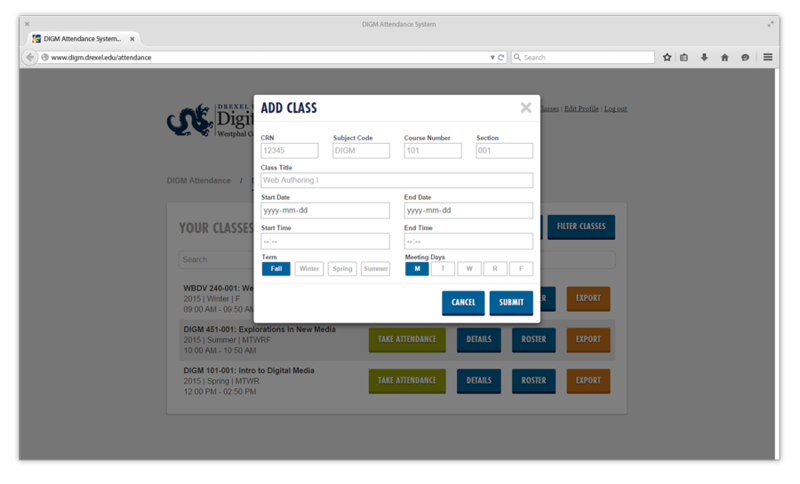 It has cut down the time of taking attendance by roughly 25%, which has made for a significantly more efficient classroom experience.